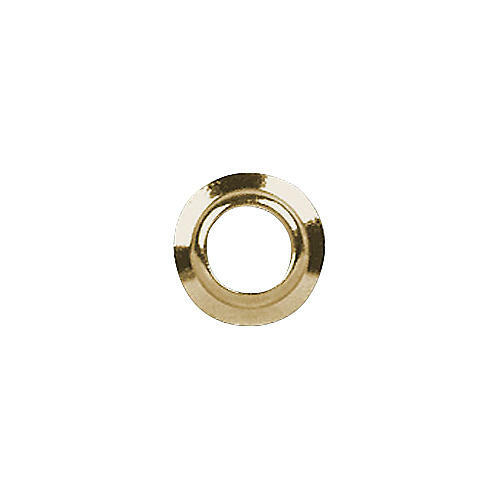 Adapter bushings that will help you retrofit vintage-style tuning machines onto your guitar. These 9.98mm outside diameter adapter bushings help you retrofit Kluson tuners in a headstock drilled for larger, die-cast tuners. If you are retrofitting a vintage instrument that has been modified or are putting a vintage-style tuning machine onto a modern instrument, you may need these adapter bushings to convert a larger size peghole to a vintage size to allow for proper fit and function. Use these Kluson adapter bushings with Kluson's 6 In-Line Vintage Tuning Machines or Kluson's 3-Per-Side Tuning Machines. Retrofit your axe with the proper fit when you use these adapter bushings to install vintage-style tuning machines.